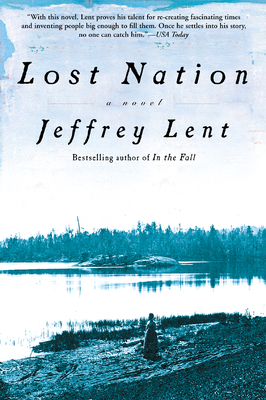 Lost Nation delves beneath the bright, promising veneer of early-nineteenth-century New England to unveil a startling parable of individualism and nationhood. The novel opens with a man known as Blood, guiding an oxcart of rum toward the wild country of New Hampshire, an ungoverned territory called the Indian Stream -- a land where the luckless or outlawed have made a fresh start. Blood is a man of contradictions, of learning and wisdom, but also a man with a secret past that has scorched his soul. He sets forth to establish himself as a trader, hauling with him Sally, a sixteen-year-old girl won from the madam of a brothel over a game of cards. Their arrival in the Indian Stream triggers an escalating series of clashes that serves to sever the master/servant bond between them, and offers both a second chance with life. But as the conflicts within the community spill over and attract the attention of outside authorities, Blood becomes a target to those seeking easy blame for their troubles. As plots unravel and violence escalates, two young men of uncertain identity appear, and Blood is forced to confront dreaded apparitions of his past, while Sally is offered a final escape.